Firstly so many thanks to Kristen @thiswifeandmommylife for nominating me! I’m so excited as this is the first time I’ve been nominated for anything! And now I get to nominate other bloggers too! This award is a great way to share our fave bloggers and get to see lots of new pages! 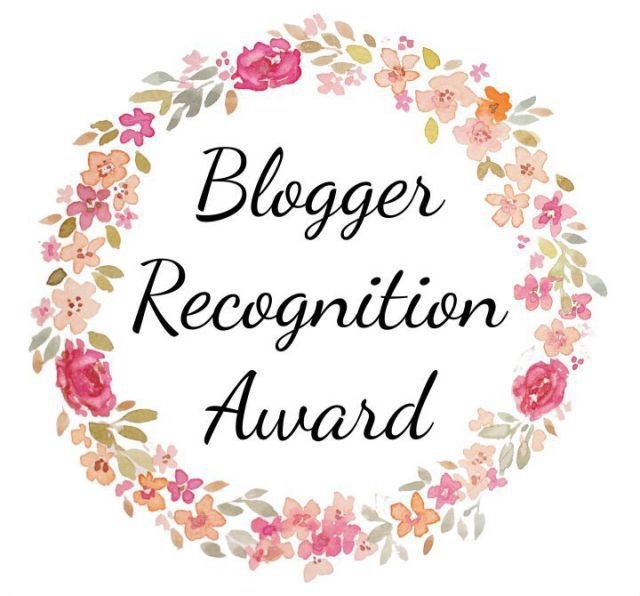 This Bloggers recognition award is not a physical award but it is a fabulous way to show recognition for each other within the Blogging community and all our readers. Give a breif story of how your blog got started. Give 2 pieces of advice to new bloggers . Select 15 other bloggers that you would like to nominate for this award. Comment on each blog and let them know you have nominated them and provide a link to their post. Here is a little about how Kiki-B’s Blog got started. About a year ago I started writing, I’ve always enjoyed writing but this time it had a purpose. If I could help just one other person then it would be worth it. I like to write about love, kindness, reflection, Bullet Journalling and art, this list could grow who knows? Writing itself is the easy part but the SEO, Hashtags, Scheduling all needs to be learned. Blog for you, not for anyone else. Don’t just write a post because you think it’s the fashionable thing to do or it’s what everyone else is doing, do it becasue you have a burning passion deep inside of you to write. If writing come easily to you, just flows from your pen (or keyboard) then blogging may be just the outlet you need! Find your niche – write about something you truely love, something that you are passionate about. If you love to bake, then share that passion with fantastic photos/videos and recipes, if you love to organise your home then for the love of God share that passion with us all, heavens knows I need some help lol! Basically, write with love and passion or don’t write at all. Your passion will show and shine through your words. OK so now onto my nominations.. this is so exciting, I get to share 15 of my fave bloggers with you all, I hope you go and have a read too. Oh Eight Oh Nine by Trina Lyell (oheightohnine.com.au) This is a fabulous home decor blog with great instructions, photos and shows a personal side too. The Travelling Diary of a Dippy-Dotty Girl (thetravellingdiaryofadippydottygirl.com) this is a well researched travel blog, it’s a well written blog and funny too I really like it – keep up the good work! Planet Simon (Sfarnell.wordpress.com) A blog about life, the universe and somethings that happen in it. A funny blog about a guy called Simon and some of his life adventures. Spiritual Journey (spiritualjourney17.com) I love your posts on inspiration, being present in the moment and love. One of my faves is what brings you joy. Nice work. Keep Calm and Blog (http://www.petaramia.com/affirmation-bloggers-feeling-unmotivated) by Peta Ramia. This is for Blogging Tips. Beautiful photos and great advice. Susanne Boemer-Hoops @isabelhoops is a gorgeous Art Bullet Journal combo that is stunning, one of my fave blogs! Lulastic Blog (lulastic.co.uk) A really lovely blog about being green, organic and loving nature and life. Sallys bake blog (@sallysbakeblog) is a lovely blog all about baking gorgeous naughty foods and cookies etc!! Great photos and recipes. @lahoralinda (www.lahoralinda.com) A really lovely blog about home decor and style. Congratulations to all my nominees and I can’t wait to read all your posts about receiving the Blogger Recognition Award! Add a link below so I can have a read please. Don’t stop being inspired and thank you again to Kriten for nominating me!